Aesteiron Steels LLP, is one of the leading manufacturers & suppliers ofAluminium Products. 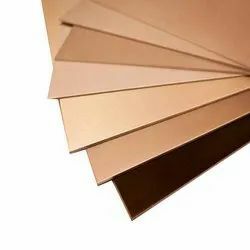 Aluminum Bronze Plate is used for the combination of high strength & excellent corrosion & wear resistance. Aluminum Bronze Plate Features are excellent resistance to wear & corrosion, high strength properties etc. 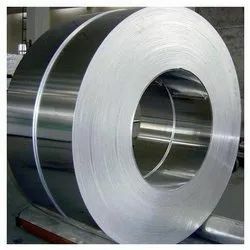 Aesteiron Steels LLP, is Aluminum Coils Manufacturers & Suppliers. It is available in various grades, sizes & specifications as per the requirements of the clients. Aluminum Coils is been manufactured utilizing quality approved aluminium that is procured from trusted vendor of our industry. Aesteiron Steels LLP, is Aluminium Rolled Plates Suppliers & Stockist. It is available ready stock in different shapes, thickness, sizes & specification. Aesteiron Steels LLP, provide Aluminum Bar in different alloys. Used in diverse industrial applications, available in the following sizes, we can also provide customized solution and cut to length service. Aesteiron Steels LLP, engaged in providing a quality range of Aluminium Rods that are widely used in various industrial applications. 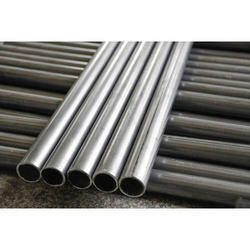 These Rods are widely appreciated for perfect finish, high tensile strength and durability. 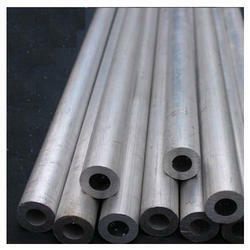 Our rods are offered in various specifications of length and diameter and can be customized to meet the client demands. 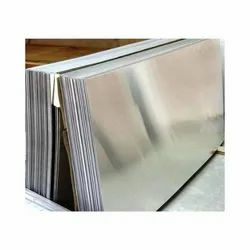 Aesteiron Steels LLP, is one of the leading stockists, Suppliers and Exporters of Aluminum Alloy Sheets. It is available in all Shapes & Sizes. 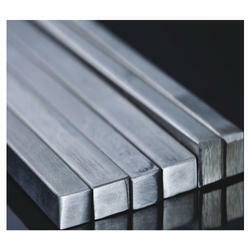 Aesteiron has a huge stock of Aluminium Square Bars available with immediate despatch. It is available in various grades, sizes & specifications of the customers. 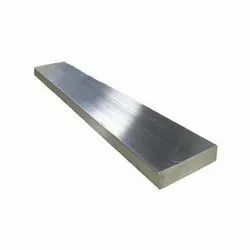 Aluminium Square Bars is often used for fabrications, machine parts, theatre & prop building, furniture making, window frames, caravan construction & other wide range of applications. 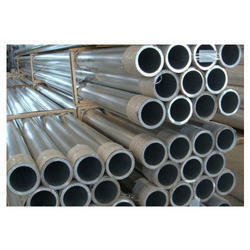 We are assisted by a team of our skilled professionals in offering a wide assortment of Aluminum Pipe. Our provided pipe is available in different specifications to meet varied needs of clients. The offered pipe is acclaimed in varied industries for different applications owing to its corrosion proof nature. 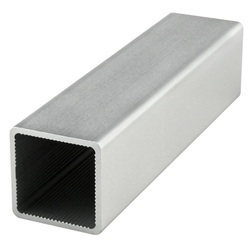 This pipe is manufactured with high quality aluminum and cutting edge techniques as per the set industry standards. 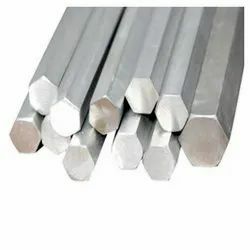 Aesteiron Steels LLP, are Suppliers and Exporters high grade Aluminium Tube that is popular for its high strength and other attractive features. Our Aluminium Tubes are popular among the clients and thus are on a huge demand.The aluminum pipes we offer are appreciated for their excellent features such as durability, sturdiness and dimensional accuracy. These are available in different sizes, shapes and grades. 1050 Aluminium Tube, 1060 Aluminium Tube, 1100 Aluminium Tube, 1199 Aluminium Tube, 2014 Aluminium Tube, 2024 Aluminium Tube, 2219 Aluminium Tube, 3003 Aluminium Tube, 3004 Aluminium Tube, 3102 Aluminium Tube, 4041 Aluminium Tube, 5005 Aluminium Tube, 5052 Aluminium Tube, 5083 Aluminium Tube, 5086 Aluminium Tube, 5154 Aluminium Tube, 5356 Aluminium Tube, 5454 Aluminium Tube, 5456 Aluminium Tube, 5754 Aluminium Tube, 6005 Aluminium Tube, 6005A Aluminium Tube, 6060 Aluminium Tube, 6061 Aluminium Tube, 6063 Aluminium Tube, 6066 Aluminium Tube, 6070 Aluminium Tube, 6082 Aluminium Tube, 6105 Aluminium Tube, 6162 Aluminium Tube, 6262 Aluminium Tube, 6351 Aluminium Tube, 6463 Aluminium Tube, 7005 Aluminium Tube, 7022 Aluminium Tube, 7068 Aluminium Tube, 7072 Aluminium Tube, 7075 Aluminium Tube, 7079 Aluminium Tube, 7116 Aluminium Tube, 7129 Aluminium Tube, 7178 Aluminium Tube, 8176 Aluminium Tube. 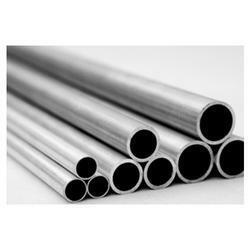 Size 1.5", 2", 4", 1", Or As Per Requirement, 3"
Keeping in mind the latest market dynamics, we are engaged in offering our clients a high in strength Aluminum Alloy Pipe. 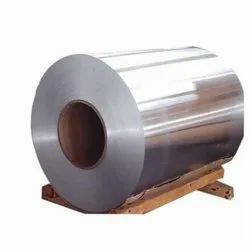 Due to the excellent ductility feature, these alloys offered by us retain good formability, highly resistance to corrosion and are applicable in marine applications. Having low density and excellent thermal conductivity, the aluminum alloys offered by us are in accordance with the industry set guidelines. 1050 Aluminium Alloy Pipes, 1060 Aluminium Alloy Pipes, 1100 Aluminium Alloy Pipes, 1199 Aluminium Alloy Pipes, 2014 Aluminium Alloy Pipes, 2024 Aluminium Alloy Pipes, 2219 Aluminium Alloy Pipes, 3003 Aluminium Alloy Pipes, 3004 Aluminium Alloy Pipes, 3102 Aluminium Alloy Pipes, 4041 Aluminium Alloy Pipes, 5005 Aluminium Alloy Pipes, 5052 Aluminium Alloy Pipes, 5083 Aluminium Alloy Pipes, 5086 Aluminium Alloy Pipes, 5154 Aluminium Alloy Pipes, 5356 Aluminium Alloy Pipes, 5454 Aluminium Alloy Pipes, 5456 Aluminium Alloy Pipes, 5754 Aluminium Alloy Pipes, 6005 Aluminium Alloy Pipes, 6005A Aluminium Alloy Pipes, 6060 Aluminium Alloy Pipes, 6061 Aluminium Alloy Pipes, 6063 Aluminium Alloy Pipes, 6066 Aluminium Alloy Pipes, 6070 Aluminium Alloy Pipes, 6082 Aluminium Alloy Pipes, 6105 Aluminium Alloy Pipes, 6162 Aluminium Alloy Pipes, 6262 Aluminium Alloy Pipes, 6351 Aluminium Alloy Pipes, 6463 Aluminium Alloy Pipes, 7005 Aluminium Alloy Pipes, 7022 Aluminium Alloy Pipes, 7068 Aluminium Alloy Pipes, 7072 Aluminium Alloy Pipes, 7075 Aluminium Alloy Pipes, 7079 Aluminium Alloy Pipes, 7116 Aluminium Alloy Pipes, 7129 Aluminium Alloy Pipes, 7178 Aluminium Alloy Pipes, 8176 Aluminium Alloy Pipes. 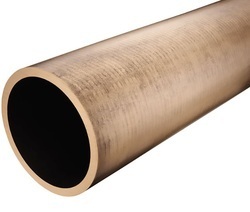 Aluminium Brass Tubes offered by us find applications in power plants, desalination plants, shipbuilding & ship repair, heat exchangers and radiators, refineries, offshore oil rigs, condensers, evaporators, ferrules, distillers. These brass tubes are made using a copper-zinc alloy containing aluminum and a small amount of arsenic which is added as an inhibitor against dezincification. Inhibited aluminum brass resists the action of high-velocity salt and brackish water and is commonly used for condenser tube. 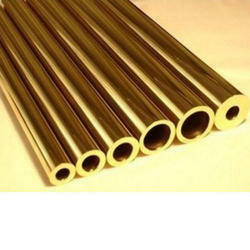 Aluminum Brass Tube Characteristic are of high resistance to impingement attack. 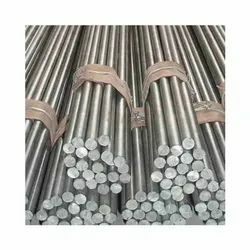 Tubes of this alloy are recommended for use in marine and land power stations where cooling water velocities are high and where inhibited admiralty brass has failed from impingement. 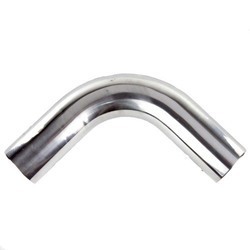 Aesteiron provides a wide range of Aluminum Bend from ready stock or on make to order basis are currently supplying to UK, Iran(Tehran), Saudi Arabia, Spain, Bahrain, Nigeria, Dubai, Egypt, Malaysia, etc. various steel products such as Angles, Channels, Beams, Billets, Blooms, Round Bars, Square Bars, Rectangular Bars, Flat Bars, Forged Bars, Rolled Bars, Pipe Flanges, Elbow, Tee, Reducer, Cross, Stub End, End Caps, Forged Stampings, Pipes, Tube, Tubing, Fasteners, Bolts, Nuts, Washers, Screws, Studs, Plates, Sheets, Coil, etc. Aluminium 1050 Bending, Aluminium 1060 Bending, Aluminium 1100 Bending, Aluminium 1199 Bending, Aluminium 2014 Bending, Aluminium 2024 Bending, Aluminium 2219 Bending, Aluminium 3003 Bending, Aluminium 3004 Bending, Aluminium 3102 Bending, Aluminium 4041 Bending, Aluminium 5005 Bending, Aluminium 5052 Bending, Aluminium 5083 Bending, Aluminium 5086 Bending, Aluminium 5154 Bending, Aluminium 5356 Bending, Aluminium 5454 Bending, Aluminium 5456 Bending, Aluminium 5754 Bending, Aluminium 6005 Bending, Aluminium 6005A Bending, Aluminium 6060 Bending, Aluminium 6061 Bending, Aluminium 6063 Bending, Aluminium 6066 Bending, Aluminium 6070 Bending, Aluminium 6082 Bending, Aluminium 6105 Bending, Aluminium 6162 Bending, Aluminium 6262 Bending, Aluminium 6351 Bending, Aluminium 6463 Bending, Aluminium 7005 Bending, Aluminium 7022 Bending, Aluminium 7068 Bending, Aluminium 7072 Bending, Aluminium 7075 Bending, Aluminium 7079 Bending, Aluminium 7116 Bending, Aluminium 7129 Bending, Aluminium 7178 Bending, Aluminium 8176 Bending. Aesteiron Steels LLP, stock a huge range of Aluminium Flat Bars in standard lengths or as per the customers requirement. Or product is been supplied with a mill finish but we also stock a range of anodised Aluminium with improved surface, hardness, improved corrosion resistance. 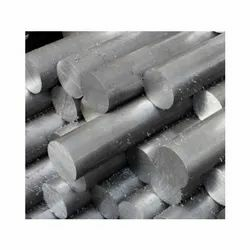 Aesteiron Steels LLP, provides wide range of Aluminum Hex Bar. It is available in various grades, sizes & specifications. 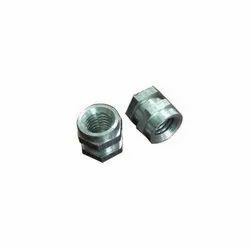 It offers wide range of corrosion resistance & machinability. It can be easily machined & has the highest corrosion resistance. Aesteiron Steels LLP, is Aluminum Inserts Suppliers & Stockist. We are involved in offering a comprehensive series of Aluminum Inserts.